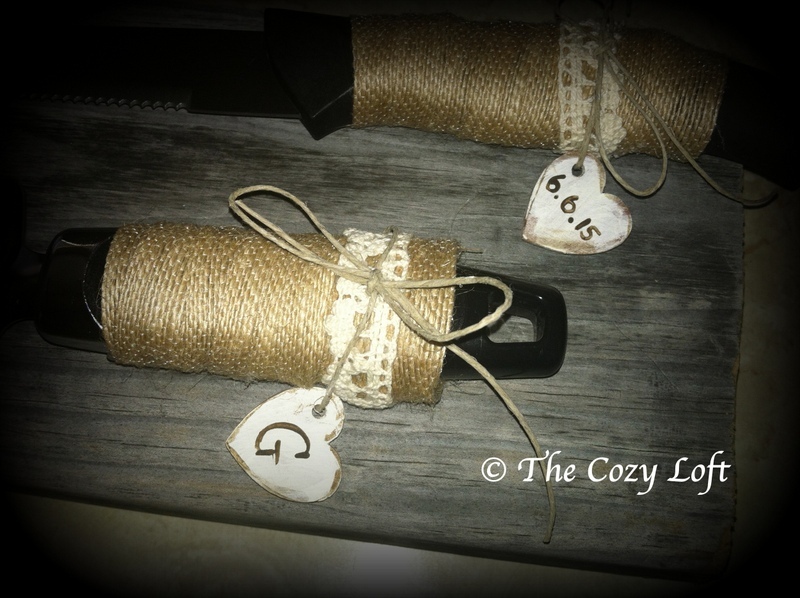 I adore creating new items for rustic weddings! These are wedding charms with the initials, names, wedding dates, etc. (whatever the new couple would like!) and they can adorn serving sets, toasting glasses, candy knobs, and really anything the couple can think of adorning with them!